When you’re searching for insulation contractors in Jackson, Tennessee, and the surrounding areas, turn to 31-W Insulation. For more than 40 years, we have provided home improvement services across the southeastern United States, so we are well-equipped to handle all of your insulation needs. With our highly experienced and professional contractors, we’ll provide a positive experience as we transform and improve your home. A free consultation – Before beginning your project, we’ll sit down with you for a no-obligation consultation to discuss and assess your insulation needs. A polite and professional experience – Our commitment to customer satisfaction has earned us an A+ rating with the Better Business Bureau. Top-of-the-line insulation – Our batt insulation products come from top brands in the industry, including Owens Corning® and CertainTeed. An improved home environment – Our insulation contractors can help determine what type of insulation you need and where, so that your home gets the best energy savings, improved indoor air quality, and reduced noise exposure from outside for a great return on investment. 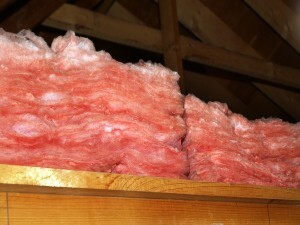 At 31-W, our insulation contractors are there for you from start to finish. Our installation process is quick and efficient so that you can begin reaping the benefits in no time. For more information about the insulation services we provide to residents of Jackson, TN, or to schedule your free, in-home consultation, contact 31-W Insulation today.